The Bourla is the last remaining municipal theatre in Europe with original stage machinery, created by the French company Philastre and Cambon in 1834. 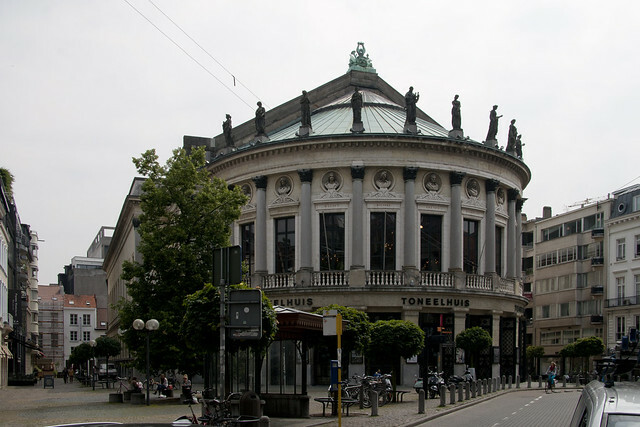 The stage machinery as well as the Neo-Classical building by the Belgian architect Pierre Bourla were, in fact, completely restored in 1993 in the context of Antwerp European Capital of Culture and even received a Europa Nostra Award. The resident company of the contemporary theatre Het Toneelhuis advocates the dismantlement of the historic and still functioning equipment in the fly tower and understage and its replacement by a completely new system. The Municipality of Antwerp, owner of the theatre, ordered a feasability study for its modernisation. If the original machinery is dismantled, one of the only theatres in Europe where 19th century operas and dramas can be staged authentically will be irreparably lost. If it is preserved, the Bourla could become the European centre of historically-informed performance practices, a place where our intangible heritage could be genuinely studied and performed. This would not exclude the use of the stage for modern productions. PERSPECTIV – Association of Historic Theatres in Europe made the nomination for the programme.